In a perfect world, database systems never crash and never fail. However, the world is far from perfect and sometimes things just break or fail for whatever reason. 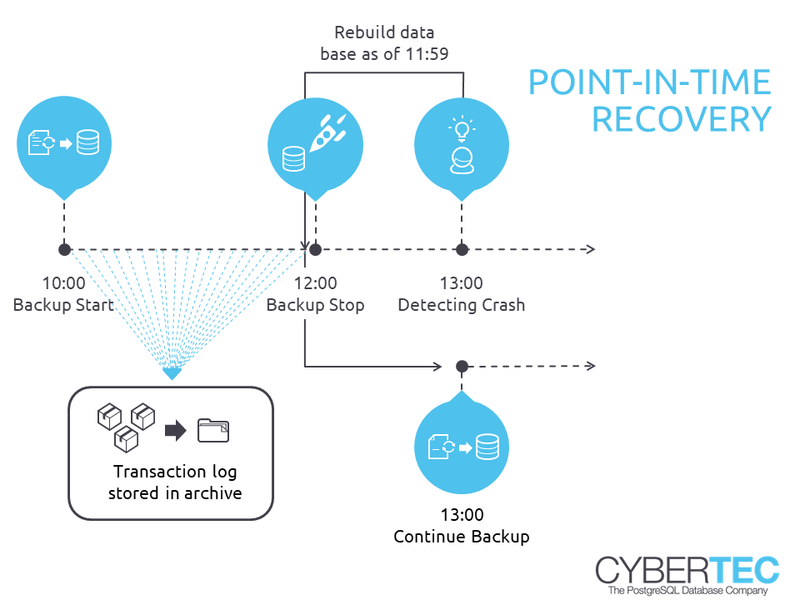 PostgreSQL Point-In-Time-Recovery offers the end user the possibility of archiving the database’s transaction log (“WAL”) and then using it to recover from a crash. The transaction log contains changes happening to the database in binary format and therefore allows for flexible disaster recovery and helps prevent data loss. 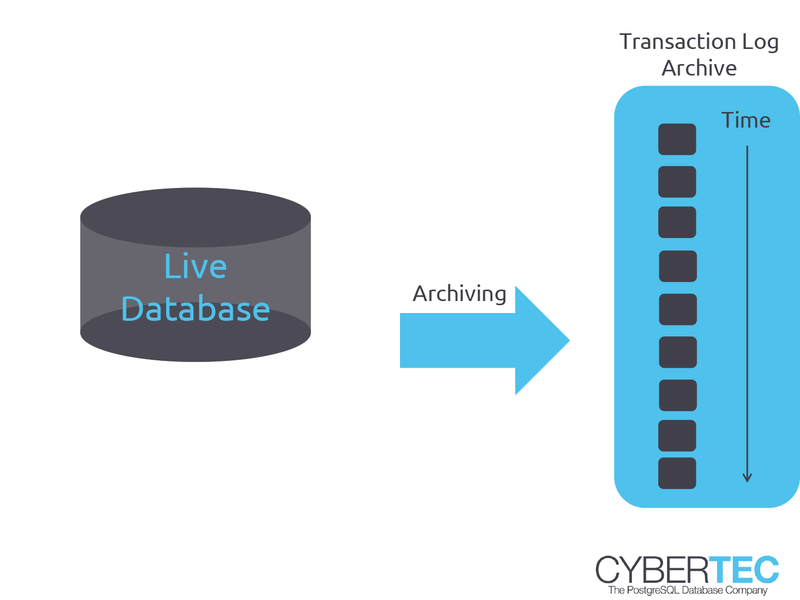 Archiving the transaction log is the key to disaster recovery. In the event of a crash, the WAL is necessary to ensure the consistency and integrity of your database server. However, PostgreSQL allows users to store the transaction log for a longer period of time and to use the WAL to “go back in time” and restore any point between a backup and the crash. If you would like to learn more about Point-In-Time-Recovery and transaction log archiving, contact us today. While Point-In-Time-Recovery (PITR) in PostgreSQL is a good way to protect data, it is also a lot easier to use than most commercial databases. PostgreSQL PITR is flexible, reliable, and fast. It offers all the advanced features generally needed in the enterprise world. PostgreSQL strives to be easy to maintain. Point-In-Time-Recovery is not only useful for protecting data, it is also a means to create test databases for database developers. Testing with real data is very beneficial and PITR allows you to provide your developers with real world data quickly and easily. Providing your developers with better test data. Traditionally, transaction logs have been archived using custom-made shell scripts. However, there is more to PostgreSQL WAL archiving than what is commonly known by most people. PostgreSQL allows you to stream transaction logs directly to an archive. There is no need to setup SSH authentication. There is not even any need for a shell login. If you would like to learn more about Point-In-Time-Recovery, contact us any time.